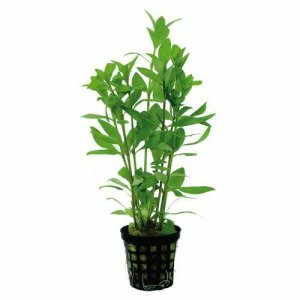 Staurogyne repens (more about it here) is a fresh green, compact and hardy plant for the foreground of the aquarium. 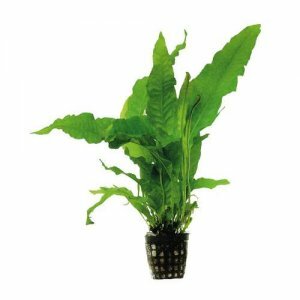 Its nearest relative in the aquaristic is Hygrophila, but Staurogyne repens is different with it's marked compact, low and bushy stature and small green leaves. 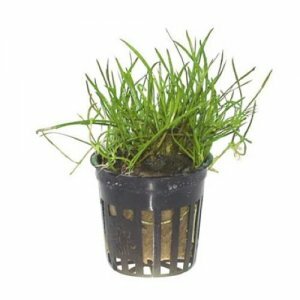 In 2005, Tropica received this plant from an aquarist and later, also visited the habitat of Staurogyne repens. Here, Staurogyne repens grew on rocks in the River Rio Cristalino in Mato Grosso in the southern Amazonas. DNA analyses reveal that Staurogyne repens is closely related to Hygrophila which is also present in South America. 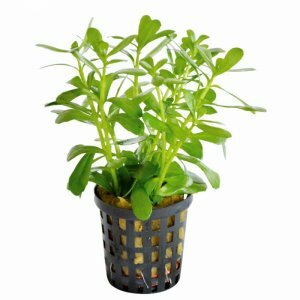 Staurogyne repens is a fresh looking green plant with stiff brownish stems. The leaves are relatively small as compared to the Hygrophila genus, in particular, when under water. 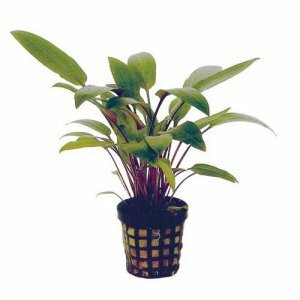 Staurogyne repens also grow somewhat slower than the known species of Hygrophila. 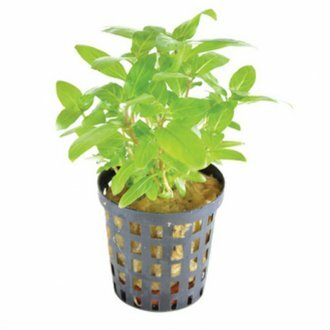 The sales pot resembles that of Hygrophila with upright stems but Staurogyne repens also have several horizontal stems produced on the basis of the plant. 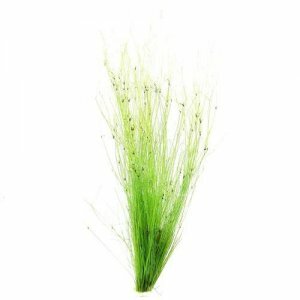 It is particularly under water that Staurogyne repens differs from the known species of Hygrophila. 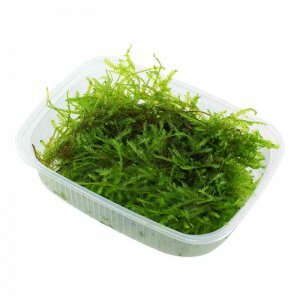 Staurogyne repens is suitable for the foreground and middle ground of the aquarium. 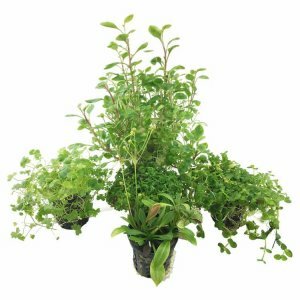 During planting in the aquarium, the longest upright shoots should be cut off and each pot should be divided into 2 to 4 pieces which are then planted close to each other in a small group. 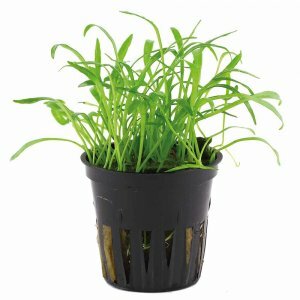 The emergent leaves will eventually die-off when under water and these may also be removed during planting. By doing so, the low compact growth form is maintained. 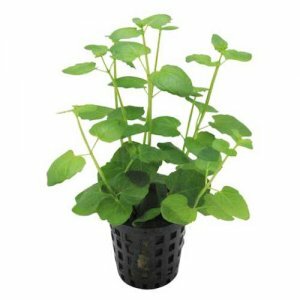 In the aquarium, Staurogyne repens develops new horizontally creeping shoots from the plant basis which soon form a beautiful carpet. The ability makes it an ideal plant for the foreground. 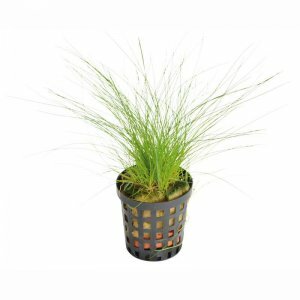 Tropica produces Staurogyne repens from tissue culture and it is available in pots as well as in 1-2-Grow! cups.
? 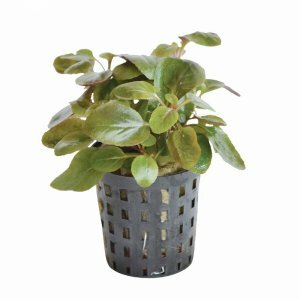 Staurogyne repens is a strong and vital plant that prefers medium to high light and supplement of CO2.
? Staurogyne repens also requires some fertilisation. 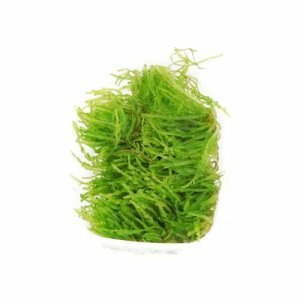 A combination of a nutrient rich substrate (Tropica Plant Care Substrate or Aquarium Soil) in addition to the supply of micro nutrients (Premium fertiliser) is necessary in order to maintain the fresh green colours of the leaves and constant, covering growth.
? In case the vertical shoots have been removed prior to planting, it may take months until further trimming is required. At that time, new vertical shoots may be removed on a weekly basis. 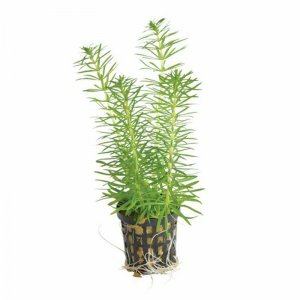 ?Staurogyne repens is apart from being an excellent foreground plant for the planted tank also very suitable for nano aquaria because of its slow and creeping growth and hardy nature. 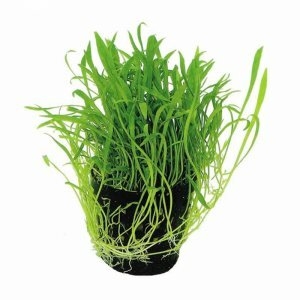 Quality plants, well packed and growing well. Great plant, they came bigger than expected and are growing great, can already see many new roots! Arrived in excellent condition. Needs pruning as per the video and looks great. Pruned right down to 1 1/2" to use in foreground. Nice healthy plant and growing well. 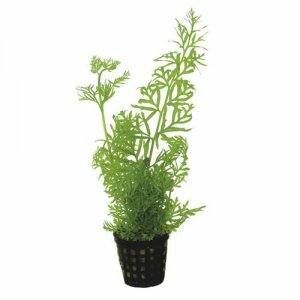 Perfect plants for my fish tank. 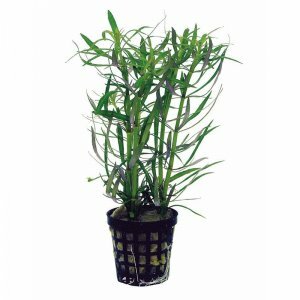 Much better quality plants than some other store. 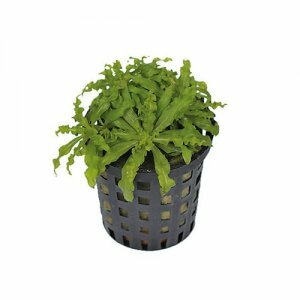 is this plant the same as staurogyne Repens?? Do you ship to the US? The picture is an accurate image of the plant itself. So what you see there is pretty much what you will receive. Got lots of these in my tank, some of them are starting to turn transparent and falling off the main plant, they almost look like they are being eaten but I don't think they are. Most of them are doing brilliantly it just seems to be one patch, my hydor pico is pointed directly at that area and they are getting lots of flow could they be getting to much. ?? Could be too much flow - try reducing it or move it and see what happens. 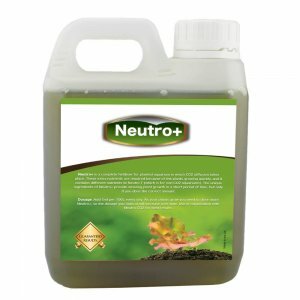 If no change increase your fertiliser dosage. Hi, ive been using you and your site now for some time been fantastic so far, now time for more questions. I have Staurogyme as my foreground plants that have created an amazing carpet. Im looking to alter my aquascape by adding more wood with plants and moss covering them, if i covered portions of the Staurogyme would it die off ? If so could you recommend anything that could be used underneath portions of root wood in the foreground ? Im trying to recreate an amazon biotope by densly planting the tank with root wood and lots of plants. Yes it would die off. 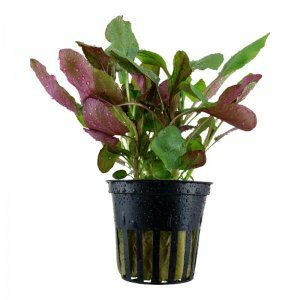 Try anubias or mosses to go under bog wood - any other plant will die due to lack of light. 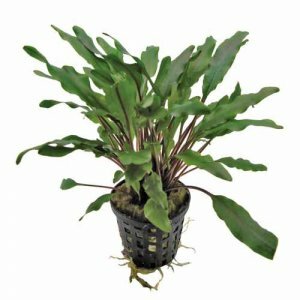 Hi, will this plant be back in stock this week? 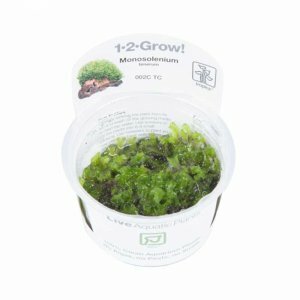 Will Staurogyne repens do well in very hard water, ours is 324ppm GH 18.4 and a PH of 7.35? 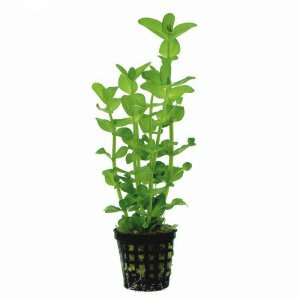 If not is there another similar easy plant for a 46l tank (no CO2)? Many thanks! 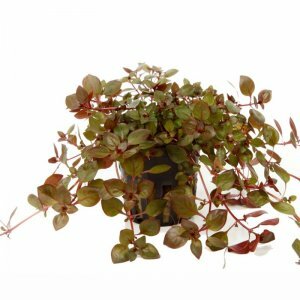 Simply enter your details below and we will send you an e-mail when “Staurogyne repens” is back in stock!